Q1. A. Complete the following sentences using words from the brackets. 2. ____________ is the leading fresh milk centre. 3. ____________ Project is built on the Satluj river. Q2. A. Give Geographical reasons. 1. Forested area is less in Punjab – Haryana Plain. 2. Punjab – Haryana Plain has become a granary of India. 3. Punjab region is affected by salinity. 1. Physiographic aspects of Punjab – Haryana Plain. 3. Soils in Punjab – Haryana Plain. Q3. Answer the following questions in detail. 1. 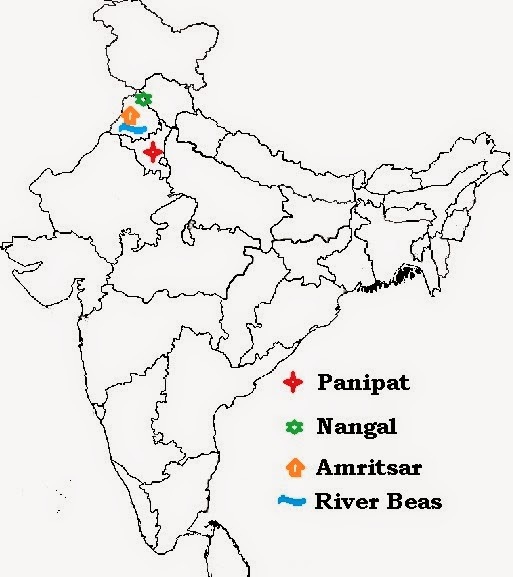 Explain the climate of Punjab – Haryana Plain. 2. Write an account on dairy farming in Punjab – Haryana Plain. 3. Describe the industrial development of Punjab – Haryana Plain. Q4. Mark and name the following on the outline map of India with a suitable index. How can i get all your notes...?